KITT: I am sorry I cannot help you Mike... 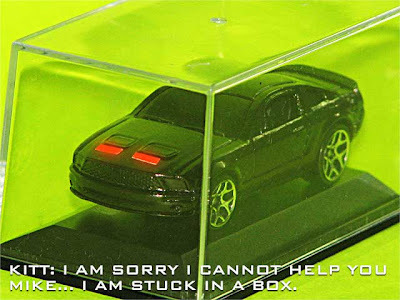 I am stuck in a box. That is the new KITT is it not, my friend?